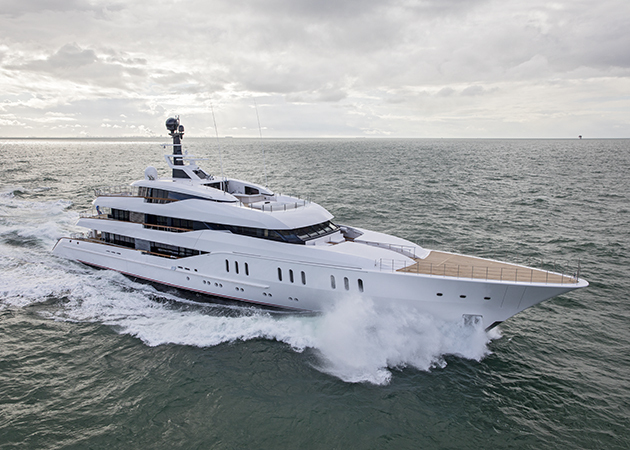 The Dutch yard will showcase two brand new and very diverse superyachts at the Monaco Yacht Show in September. 66.3-metre Vanish was launched at Feadship’s Kaag facility in January and was the first yacht delivered in 2016 by the yard. 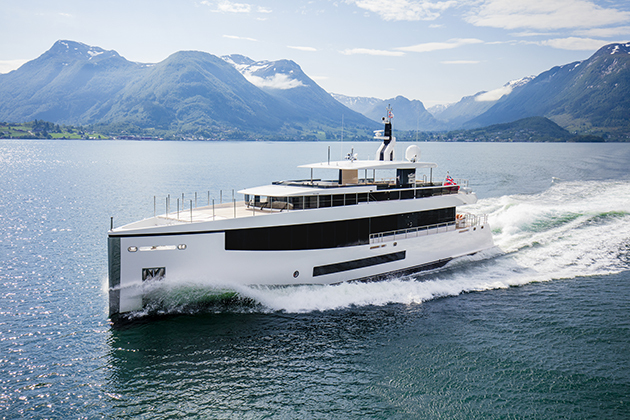 The yacht features both exterior lines and an interior by Eidsgaard Design. A large owner’s stateroom includes an extendable balcony for secluded outdoor living. In addition to the owner’s cabin, Vanish has four guest suites and a VIP cabin on the main deck that can be converted to two guest suites. She has 17 crew, and other features include a beach club spa with sauna, massage room and hairdressing salon, and an outdoor cinema. The steel and aluminium yacht has a top speed of 17.5 knots, and a 5,200-nautical-mile range at a 12-knot cruise. In a completely different direction for the yard is the 34-metre Kamino, which launched in February along with her two sisterships. One of the smallest yachts that Feadship has launched in a long time, the yard has two more in production that are one metre longer, due to launch in 2017. Feadship CEO Henk de Vries explains how the concept came about: “Three years ago, the owner of a pure custom Feadship asked us to build a smaller yacht to Feadship standards. It needed to have a length and draught that would allow access to new markets where mooring facilities are restricted and facilitate cruising in shallower depths. 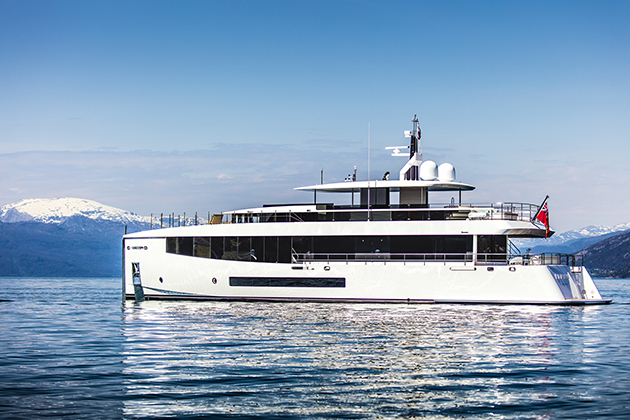 We don’t like saying no to clients at Feadship so we decided to explore whether it was even practical to design and construct a 34-metre cruiser to Feadship quality within the boundaries of this compact size. Our research established that, while building such a custom yacht was indeed possible, it would only be economically viable for the client if we built three of them to the same design template. Turning normal market dynamics on their head, we therefore agreed to our client’s proposal as long as he could introduce two more clients who would like to order one of these unique Feadships while, of course, having flexibility in terms of the interior.” Kamino and her two sisters were thus born, although all three have varying interior layouts. Naval architecture and exteriors are designed in house by De Voogt, and feature the most amount of glass as a percentage of exterior lines ever on a Feadship. Thanks to this, the interiors are light and the 2.45-metre high ceilings give the yacht a voluminous feel. There is a master cabin on the main deck and accommodation for eight below deck in two doubles and two twins, and there will be a crew of five.